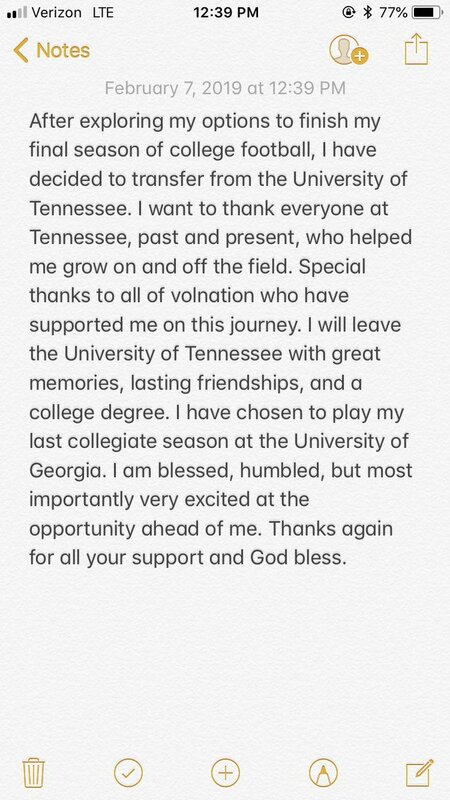 Following Eli Wolf’s decision, Georgia and Tennessee have now traded transfers this offseason. While Deangelo Gibbs’ transfer from Athens to Knoxville has already been finalized and announced, Eli Wolf waited until the day after National Signing Day to declare his intentions — the former Tennessee tight end will finish his college career in a Georgia uniform. Wolf announced his decision on Thursday. 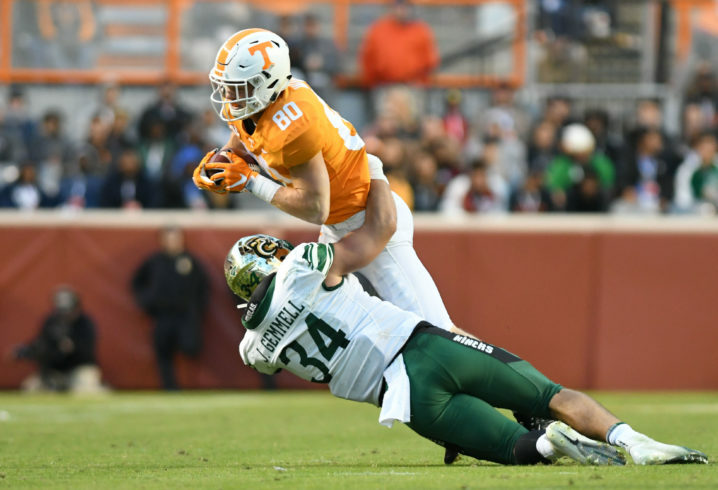 During his three years in Knoxville, Wolf caught eight passes for 78 yards and one touchdown for the Volunteers. He is the brother of former Tennessee tight end, Ethan Wolf. Eli walked on at Tennessee before later earning a scholarship. Nice pick-up for Fromm. Plug-n-play TE. Welcome to the Dawg Nation young man. A former walk-on who earned a scholarship and graduated in 4 years. A true point of pride for both UT and UGA. My limited view of wolf is a good kid, good student and a decent athlete. Good hands. Average speed. Too small to block along the line. We wish him well except against us. I was surprised to see UGA so thin at TE to take him. But good for him and for you. At the time, they needed him for some depth. After signing day, sadly, he won’t get to play much this year either. I do agree with your view of him. Good kid, hard worker. UGA will be using a 6th offensive linemen in their heavy sets I assume this year. Woerner will start and is an OK blocker. Wolf most likely will be the instant #2 TE unless Goede matured quickly this year. UGA has a hometown kid in 5-star Arik Gilbert that will be in next year.